Bathroom remodeling / renovation provides a terrific opportunity to improve the use of space, add new functionality, and enhance the beauty of your home; all while adding value to it. 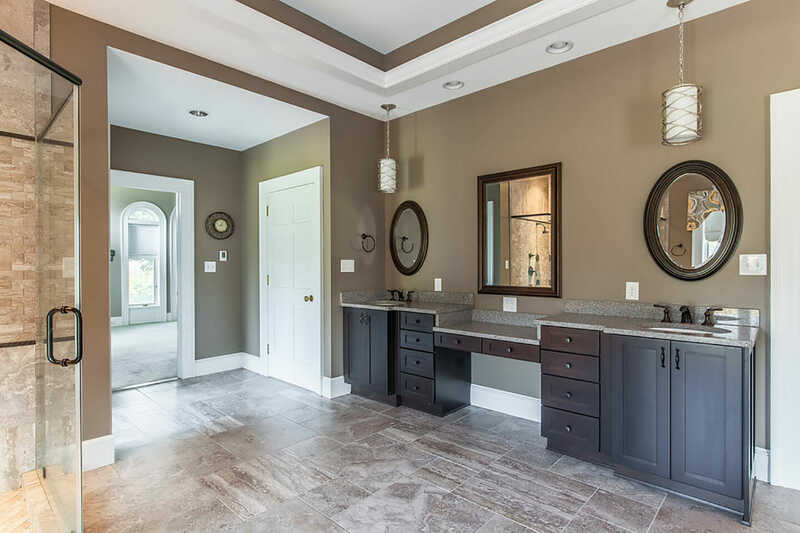 The bathroom designers and construction experts at Golden Rule Builders will work closely with you to help you plan, design, and build the bathroom you’ve always wanted! Bathrooms are one of the most personal and private parts of your home. For most, it’s more than just the room where people start and end their day. It can be a place of relaxation, soaking in a hot bath, or enjoying a massage stream in a Roman shower. It is a place of cleanliness and rejuvenation, and a great design can ensure long-term satisfaction. A bathroom can also be a wonderful place to show your style, as all of its elements have options that allow you to choose the ideal appearance. From old fashioned and earthy to clean and modern, there are endless palettes at your disposal. In recent years, a plethora of materials have become available that offer different visual and performance qualities for your bathroom. Countertops, cabinets, hardware, fixtures, tile, and other materials have all gone through a renaissance of sorts, where utility and presentation are both at a peak. The Golden Rule Builders design team would love to help you solidify your vision for your new bathroom, serving as a virtual guide through the possibilities by sharing their insights and creativity. From there, our talented team of bathroom remodeling specialists go to work making it a reality. Throughout the process you and your home will be treated with care and respect, and you’ll be enjoying your beautiful new bathroom before you know it. If you are ready to learn more and take the next step toward building your ideal bathroom, contact Golden Rule Builders today!